It’s late at night. You’re craving something sweet and decadent but don’t want to overindulge before bed. Story of my life! 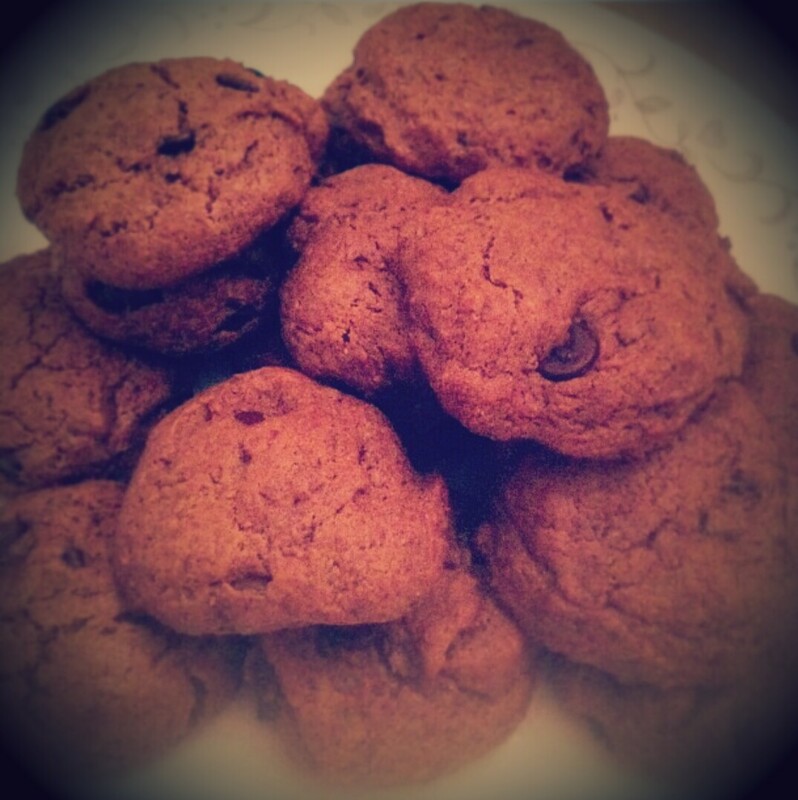 In these instances my go-to recipe are CHOCO-CHIP NUT BUTTER COOKIES (see recipe below). It’s the perfect combination of sweet and salty and they’re so decadent you only need 1 or 2 cookies to satisfy a craving. The healthy omega-3 fatty acids, protein, and fibre in the nut butter will help you feel full, while the chocolate satisfies your sweet craving. Only 10 minutes to make and 10 minutes to bake!